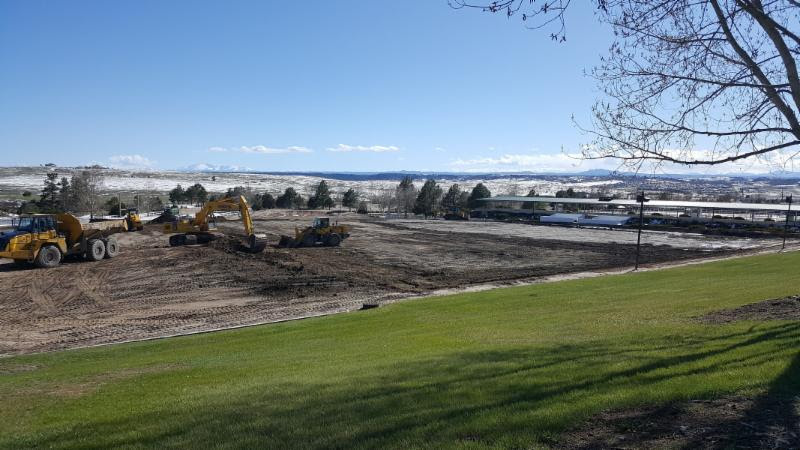 Parker, CO – May 9, 2016 – The Colorado Horse Park (CHP) has begun major renovations to upgrade arena footing throughout the facility in preparation for the start of the 2016 season. Equestrian Services International (ESI) will oversee the improvements and are on pace to complete the footing renovations by the end of spring. The footing upgrades will serve as the first step in the anticipated construction timeline for restoration of the historic facility since its purchase by the Colorado Equestrian Partners in late 2014. Equestrian Services International (ESI) will use their International All-Weather Footing, the same footing material that furnishes competition rings at both the world-renowned Palm Beach International Equestrian Center (PBIEC) and Tryon International Equestrian Center (TIEC), to complete the rings at CHP. The International Ring alongside Ring 6 and Ring 7 will be the first arenas scheduled for completion and are currently under construction. Arena footing renovations provided by Equestrian Services International (ESI) continue at The Colorado Horse Park. The improvements come as a welcomed addition to the overall revamp of the facility and the management team at CHP is thrilled with the progress the venue has made in the past few months. Raflowitz sees the final pieces of the project coming together at CHP, which he noted is his favorite component of major reconstruction at equestrian venues. For more information about The Colorado Horse Park, please visit www.coloradohorsepark.com.